As I mentioned before, I started with book 7 – yeah, brilliant. But I was so taken with the story and characters that I decided I would grab book 1 and read the beginning, even if I do have a few spoilers along the way. This book is the start of the Frieda Klein series and it begins in 1987. It takes a while to get started, it moves rather slowly at first while you get to know the characters but, in my opinion, the character development is worth it. Frieda is a psychotherapist. She isn’t a warm character but I like her. She’s complex, cool and competent. Intelligent and a problem solver. Her mind never seems to shut down and so she walks the streets of London at night until she is weary. I like her rituals such as laying the fire in the morning so she can start a fire each evening when she returns home. I like her organizational method to approaching….anything. This book introduces us to Frieda’s latest client, a troubled man named Alan Dekker. The short gist of it is he is an emotional mess. He is on the verge of a breakdown and anxious all the time about so many things in his life. To add to it, he and his wife Carrie are having trouble conceiving a child. He wants a child of his own rather than adopting and gives Frieda great detailed descriptions of his fantasy child, down to the hair color and build. He explains all this during his therapy sessions, a place where he should be safe and know his feelings won’t be shared. Unfortunately a little red-haired boy named Matthew Faraday has been abducted and he fits the description of the fantasy child to the letter. Big red flag here! Did Dekker abduct Matthew? Now comes the ethical dilemma for Frieda about whether she needs to go to the police. Detective Chief Inspector Karlsson is assigned the missing child case and this is where he crosses paths with Frieda Klein. It’s explosive in so many ways. This sets up the premise that Frieda may be working, albeit hesitantly, with the police now and again. The end wraps up fairly nicely yet leaves you curious about a few possible loose ends. So. Now that I have read both the last book and then this book I can say that I will read the series – but I liked the characters in Sunday Silence better than this one. Clear as mud right? Knowing how some of these folks turn out and clearly the writing was crisper in book 7, that’s what interests me. Blue Monday needed to have the character development and the explanations about their lives but it wasn’t a I’m-in-love-with-this-series instantly had I started with this book. Please don’t let me turn you off to the Frieda Klein series, I honestly do think it’s good. Recipe for chickpea salad may be found HERE. 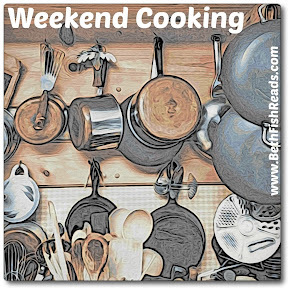 Linking up with Joy’s British Isles Friday , Beth Fish’s Weekend Cooking Series and January Foodies Read at Spirit Blog. You just can’t go wrong with America’s Test Kitchen. Any recipe I’ve tried from ATK has come out perfectly. When I saw this cookbook focusing on using the food processor I had to try it. Actually, I had this book checked out of the library a while back and waited to post this. I don’t know why. Then I thought about not posting it as some folks are in the middle of extreme winter weather where you can’t get a decent tomato or zucchini. But it is summer in the southern hemisphere so I thought, why not. (That’s a shout out Carole’s Chatter 🙂 And I would still make this in winter with hothouse tomatoes because its a comfort food (for me). Anyway…….first recipe I tried was a Summer Vegetable Gratin with lots of juicy tomatoes, crisp zucchini, sliced onions and garlic. Obviously there is cheese and the merging of these ingredients makes for a fabulous side dish or vegetarian main dish. It also makes for a messy kitchen but I assure you it’s worth it. This was meant to last as two side dishes but we almost devoured the entire thing in one sitting. We served this with grilled fish. Recipe follows and I will warn you, it’s a bit time consuming but you can cut back on the time with some of the prep. I gave the recipe as printed in the book but obviously you can make your own adjustments. Enjoy! Brush 13- by 9-inch baking dish with 1 tablespoon oil; set aside. Midway through prep start heating your oven to 400 F.
Toss zucchini and squash slices with 1 teaspoon salt in large bowl; transfer to colander set over bowl. Let stand until zucchini and squash release at least 3 tablespoons of liquid, about 45 minutes. Arrange slices on triple layer paper towels; cover with another triple layer paper towels. Firmly press each slice to remove as much liquid as possible. Meanwhile, heat 1 tablespoon oil in 12-inch nonstick skillet over medium heat until shimmering. Add onions, remaining salt, and 1/4 teaspoon pepper; cook, stirring occasionally, until onions are softened (15 minutes). Set onions aside. Combine garlic, 3 tablespoons oil, remaining 1/2 teaspoon pepper, and thyme in small bowl. In large bowl, toss zucchini and summer squash in half of oil mixture, then arrange in greased baking dish. Arrange caramelized onions in even layer over squash. Slightly overlap tomato slices in single layer on top of onions. Spoon remaining garlic-oil mixture evenly over tomatoes. Bake in a 400 degree oven until vegetables are tender and tomatoes are starting to brown on edges, 40 to 45 minutes. It’s a bit time consuming but it’s delicious. Totally worth it. 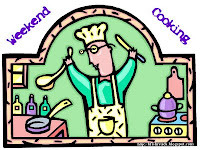 I am sharing this with Beth Fish’s Weekend Cooking Series and January Foodies Read at Spirit Blog. Tracy Chevalier has earned a place as one of my favorite authors. 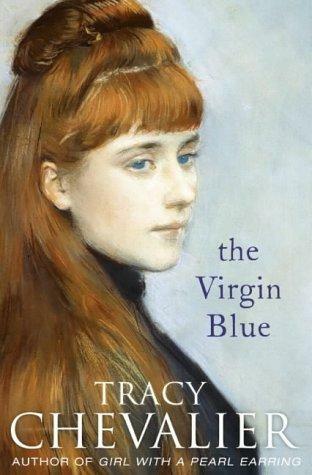 I very much enjoyed her previous books: The Girl with the Pearl Earring and Falling Angels. This one, however, fell short of my expectations. It’s written in a split narrative and goes between Ella Turner (present times) and Ella’s ancestor Isabelle du Moulin Tournier (16th century). As each story unfolds you wonder if Ella will discover her ancestor through her genealogical pursuits. But the real sympathies go to Ella’s ancestor Isabelle. In her story you feel bad, wish she had a better situation, a better husband and a life without so many hard times. Present time: Ella’s husband Rick is transferred to southwestern France for work and this leaves Ella with lots of time on her hands. She was excited about living in France but the culture shock leads her to be more reclusive and disillusioned about the life she thought she would have there. 16th Century Shift: Isabelle (also known as La Rousse) and husband Etienne have a difficult relationship as his family is well-to-do and they do not like Isabelle’s family. They are part of the mass of villagers who shift to an anti-catholic stand and destroy the statue of the virgin Mary as well as place locks on the church door. Isabelle has red hair much like the portraits and the depictions of Mary and so they look upon her with suspicion. Suspect her of witchcraft at one point. Remember, this is the 16th century. Back to Ella – she seeks the help of a handsome librarian to assist in her research, hoping to find out more of her Huguenot ancestors. It’s hard to have any sympathy for Ella with the way she treats her husband and her attitude in general. The end had some surprises and you are left to form your own conclusions about a few of the characters. So….potatoes came to mind as a dish representing this book. 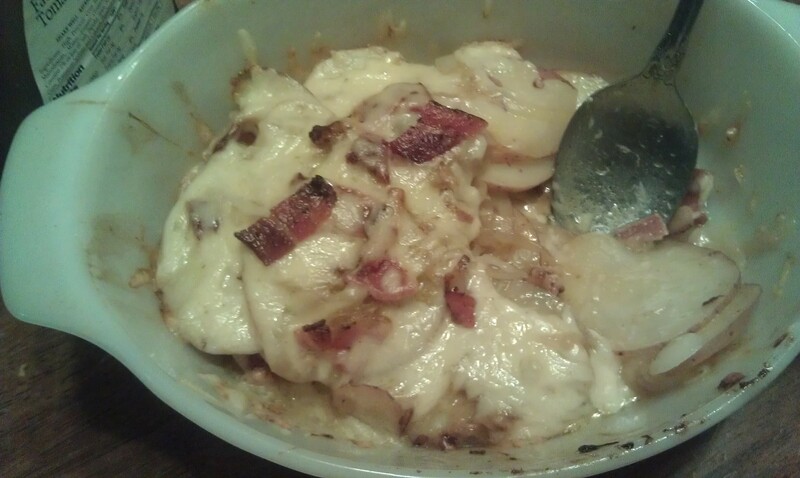 For me it did but hey, I like potatoes and when Isabelle’s father gave her a sack of them so she wouldn’t starve…I thought right then….Tartiflette. I am placing this review on Goodreads and Beth Fish Reads. Recipe may be found at Squirrel Head Manor.